ACT Branch Activity Leader John Pring in Vanuatu last month. He set up the ACT scuba diving group. Photos: Supplied. Veteran Scout leader and scuba diver John Pring doesn’t do it for the awards but he is ‘very chuffed and very honoured’ to be recognised for his service to Canberra youth in the Scouting Adult Recognition Awards announced on World Scout Day (1 August). 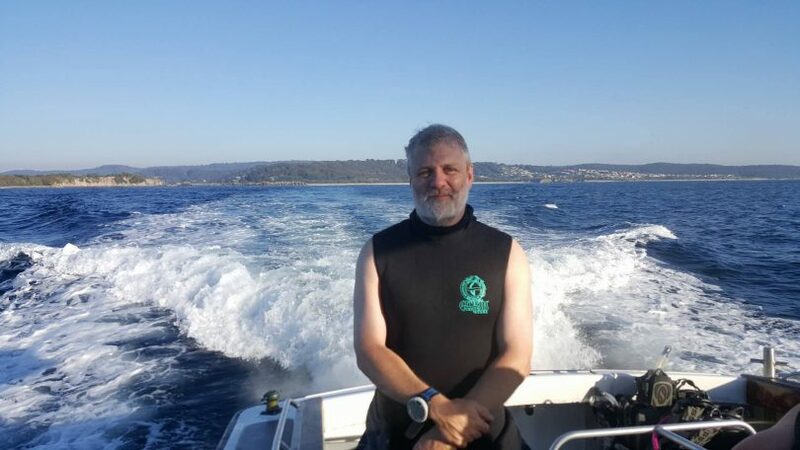 A project manager at Geoscience Australia, Mr Pring has been a Scout leader in some shape or form since 1992, and for the past six years has been enjoying helping his young charges take the plunge into the magical world of scuba diving. Mr Pring, 50, is one of 20 ACT Scout leaders and supporters who have been recognised for their voluntary work for the Scouting movement with awards from the Chief Scout, Governor-General Sir Peter Cosgrove. He has been awarded the Silver Koala for ”distinguished service” to Scouting in an active leadership role, typically for around 18 to 20 years. An Assistant Scout Leader with the Macarthur Scout Group, Mr Pring provides ongoing support in many areas of the Group, and as ACT Branch Activity Leader, has established and now runs scuba and snorkelling activities. Other awards are the Silver Emu (“further distinguished service” to Scouting in an active leadership role, typically at least four or five years since the Award of the Silver Koala), Meritorious Service Award and the Special Service Award. 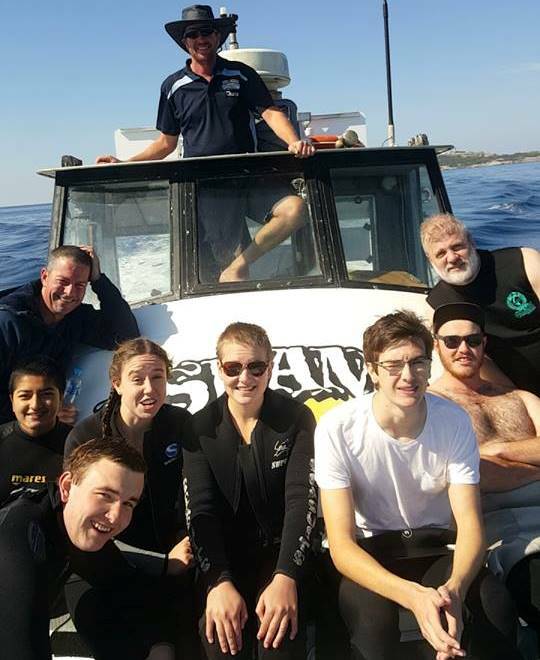 Mr Pring, who started as a youth member, set up the ACT scuba diving group and now runs regular diving activities, including taking a group to Vanuatu last month and being part of a national venture in January on Heron Island on the Great Barrier Reef conducting citizen science. He said Scouting endured because it was one of the few youth organisations that offered a very broad range of activities, including cultural and spiritual events, at international, national and local levels. It’s an association he hopes to continue, already looking at setting up a Queensland dive group when retirement beckons in about five years. John Pring with the group he took to Vanuatu last month. Scouts ACT Chief Commissioner Rick Goode said that leaders and supporters of Scouting like Mr Pring devoted thousands of hours to the development and wellbeing of young people. “Their reward is simply the satisfaction of knowing that their efforts are reflected in the positive development and growth of young people as they take their place as responsible citizens in our community,” Mr Goode said. “Some are active leaders and wear a Scout uniform, while others work in the background, raising funds, supporting youth programs and maintaining equipment. But everyone helps make Scouting the great organisation it is. Other recipients include Allison Stanhope (Special Service Award) who became Treasurer for the Birralee Scout Group in Gungahlin in 2016. She is responsible for the financial activities in a Scout Group with over 140 youth members and six separate youth training sections. Her role is equivalent to managing the finances for a small business and involves many hours behind the scenes. Melissa Frost ( Special Service Award) had been an active supporter of the Stromlo Forest Scout Group Committee before taking a uniformed role in 2015. As Scout Leader, she provides a challenging and exciting program for all youth members. Her focus on outdoor pursuits has enabled members of the Scout Troop to experience camping, hiking and similar activities as an integral part of their development. The awards will be presented at a special ceremony on Wednesday 8 August at the Tim Murray Theatre, Canberra Grammar School, in Red Hill. Heidi Andriunas, Catherine Beurle, Matthew Briscoe, Andreas Buttler, Belinda Edwards, Melissa Frost, Andrew Gibson, Emily Horsley, Kersten Marin, Matthew Platt, Adam Sheppard, Allison, Stanhope, Michael Still, Kylie Tonon, Holly Wardell.